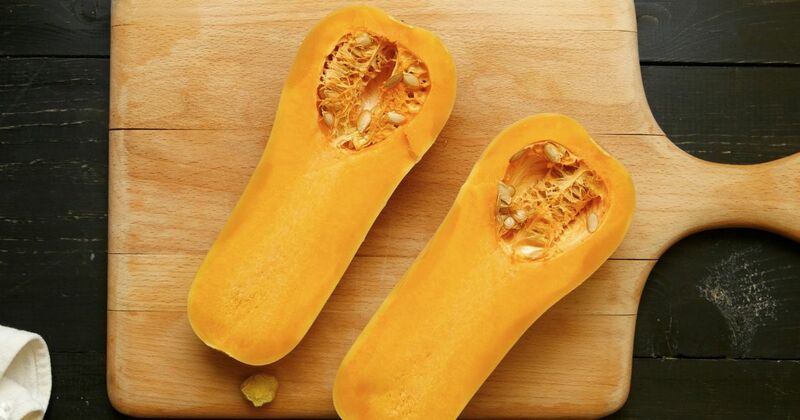 Butternut squash is a favorite among winter squash varieties, beloved for its tender flesh and natural sweetness. 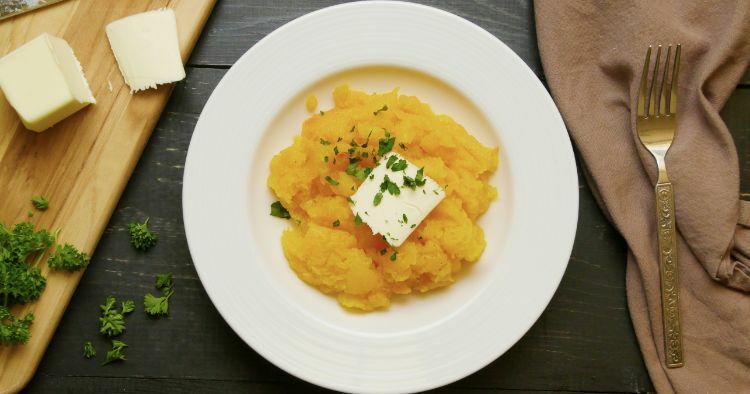 Turning a whole butternut squash into something edible, however, can seem daunting. Its shell is hard and nearly impossible to cut through with a kitchen knife. And after you get through that seemingly impenetrable exterior, it still takes nearly forever to cook. But once again, modern kitchen technology saves the day. A quick stint in the microwave solves the first problem, and an Instant Pot the second. Of course, you could also just pick up a bag of peeled butternut squash chunks at the market. You’ll spend a whole lot more, but you will save a few minutes by not having to peel and dice it yourself. If you do choose the cubed version, you can still cook it in the Instant Pot. Just reduce the cooking time to six minutes. Place the whole squash in the microwave. Heat on high for about 5 minutes, until the shell is softened enough for a knife to get through it. Halve the squash lengthwise. Add the water to the pot, and place the squash halves on top of the trivet, cut side up. Sprinkle the squash with salt and pepper. Close lid, and set valve to sealing. Remove the squash from the pot. You can remove the peel using a paring knife or by scooping the flesh out of it with a large spoon. Serve hot or refrigerate and save to add to other dishes.